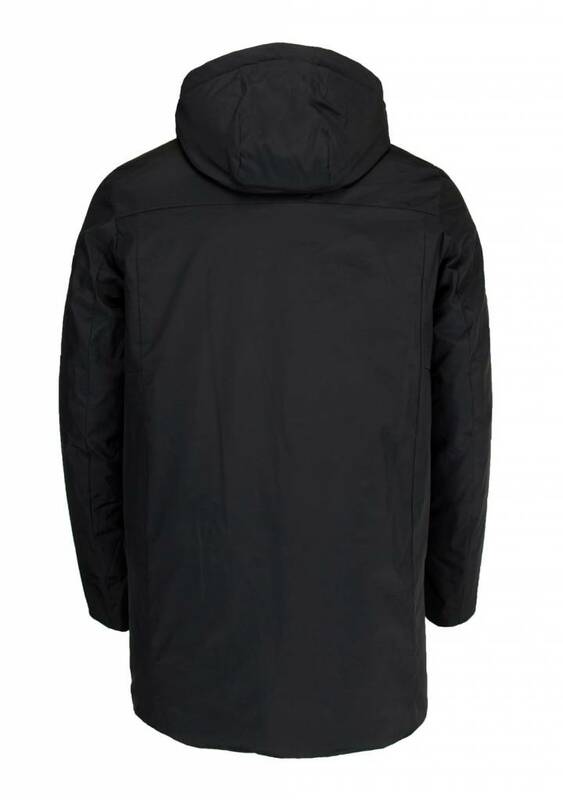 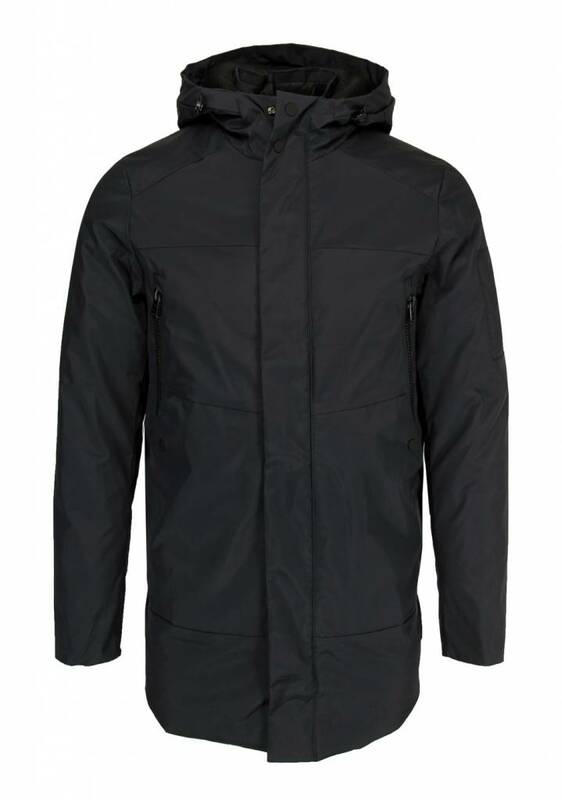 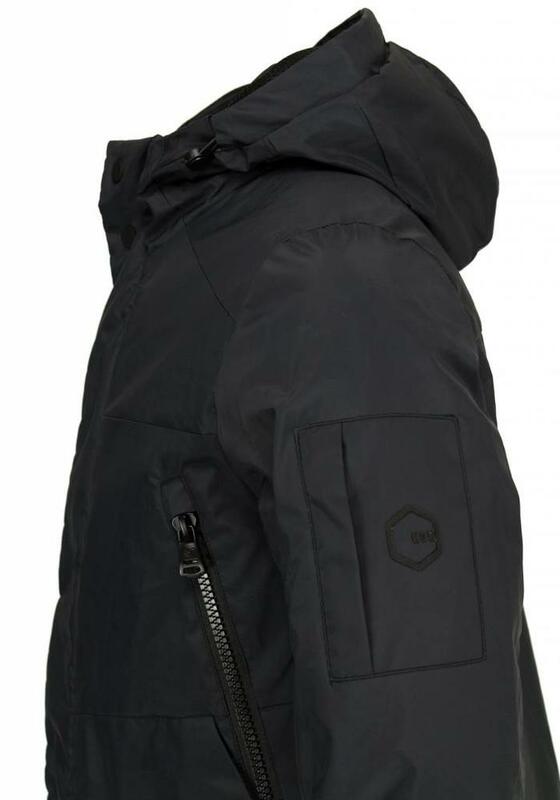 Black Hox winter coat for men. 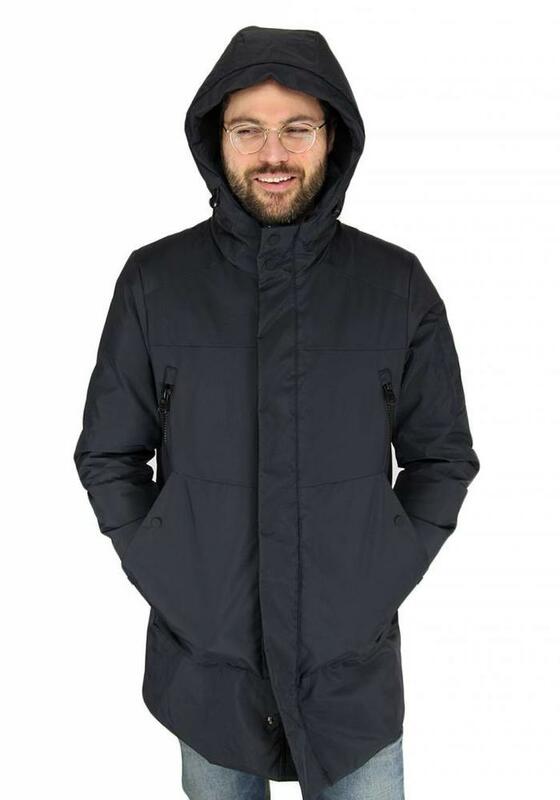 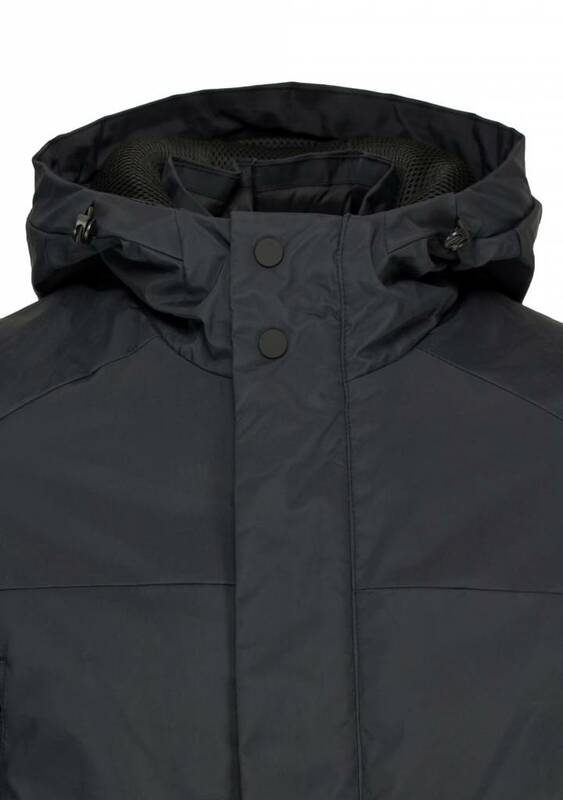 The coat is down padded and is made of a water-repellent, sturdy material. On the outside are several fleece-lined pockets, both with zipper and with button closure. 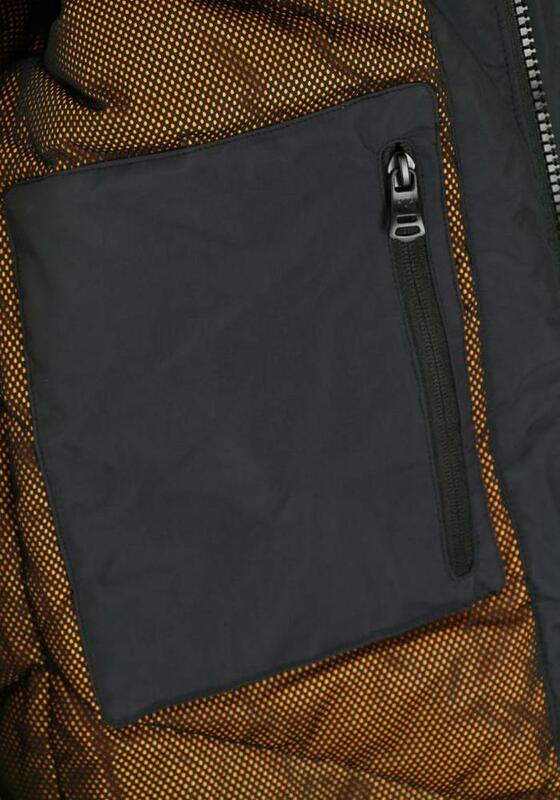 On the left arm is a small zipper pocket. The winter jacket has a down padding that can isolate heat like no other, without being stuffy.